With respect to the word speculative, a full theory (Quantum Chromodynamics), particle accelerators and inumerous scientific careers were created based on a theory that is based on the existence of Quarks. Needless to say, there are no experimental proof of their existence but it seems that there is a tremendous resistence for anything that might challenge that view. Are Black Holes speculative? In fact, they are. They are being contested observationally even as we speak. There have been an observation that would indicate that when matter aggreagates in what would expect to generate a Black Hole, you end up with a hot plasma. Don't even get me started on Tachyons, Creating New Universes from Higgs Bosons etc... This field is littered with speculation! Unfortunately, the article you posted to sci.physics.research is inappropriate for the newsgroup because it is overly speculative. Please note that, since the article was posted to a moderated group and was not approved, it will not appear in ANY newsgroup. If you want to post it to any unmoderated newsgroup, you must post it again, avoiding any moderated newsgroups. Keep in mind that posts are randomly distributed to one of the ACTIVE co-moderators. At any given time, one or more of these can be inactive. If, rather than resubmitting a post in the normal way, you email a moderator directly, it might arrive while he is inactive, causing an unnecessary delay. My theory proposes the the Universe rides and is the 4-Dimensional Hyperspherical Shock-Wave resulting from the decay of the initial Super-Symmetrical 4-Dimensional Spatial Deformation Event. Super-Symmetrical is mean here in the sense that the physical dimensions of this deformational state were above the supersymmetry conditions. The supersymmetry conditions in my theory refers to the maximum dimension where spin-zero and non-zero spin particles behave equally to the intervening spacetime waves. Matter is modeled as coherences between states in a 4-Dimensional Rotating Double Potential Well. The coherence time is matched to the lifetime of a particle while the spin is matches to the actual tumbling of that particle as it travels outwards in the proposed four-dimensional hyperspherical shock-wave expansion. There is no need for Dark Energy to explain the expansion state of the Universe. It is just an immediate result of the geometry. With the addition of the Radial fourth-dimension, it is easy to realize that motion is always at the speed of light and that the motion we are so concerned (along the 3-D manifold) is just a change of direction of the primary trajectory. This explains clearly why the speed of light is the fastest speed in the 3-D Universe. It would correspond to the particle to ride a perpendicular wave resulting in an interference pattern traveling at 45 degrees. From the spacetime waves generated from the coherences (particles or dilators), I was able to replicate Gravitation and Electromagnetism through the creation of a new Physics, that is, a physics that is based on a new Lagrangian Principle. This principle states that the dilators travel always in phase with the surrounding spacetime waveforms. This simple principle is easy to use. Just calculate the total waveform in the particle position and find its nearest next positive interference. Gravitation and Electromagnetism differs not by the Nature of the force but by the Nature of the Force Response. Gravitation affects zero spin particles (e.g. Hydrogen atom) while electromagnetism affects non-zero spin particles (e.g. Proton and Electron). The difference is that zero spin particle do not spin (tumble) as they travel outwards in the hyperspherical expansion. This means that they couple to hypersuperficial waves (3-D hypersurface) and that their k-vector only changes direction at the level as the k-vector of the Hypersurface changes from position to position. Remember that this is a 15 Billion Light Years "Hypersphere", so a change in position will ellicit only a very small change in the direction of propagation, thus the resulting acceleration would be very small, thus the small strength of Gravitation. Non-Zero Spin particle spin (tumble) and that couples allows them to couple to hypervolumetric wave modes. This also means that from expansion step to expansion step, they change their k-vector freely and thus the change is much larger than the change in the previously described situation. That is why for the same field, there are different results. This is a real unification. 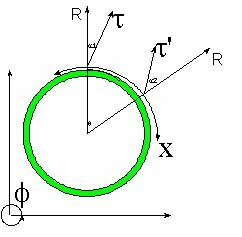 The part associated with Gravitation is described at Gravitation 101 in my blog. Full details on the derivation are presented in the papers on the site. Here is my reply to the Dr. Khavkine's review. What is overly speculative about this posting, Dr. Khavkine? The papers contained in the site http://hypergeometricaluniverse.com/) show all the calculations associated with the proposed Grand Unification. The theory is Relativistic since it keeps the Lorentz transform (rotation by an imaginary angle arctanh(v/c)) and quantum mechanics in the Bohr sense. In addition, the Grand Unification paper recovers Newtons'Gravitation Law, Gauss Electrostatic Law and Biot-Savart Law, thus Grand Unifying Electromagnetism and Gravitation. The hyperspherical expanding Universe allows for a different interpretation of the E=mc^2 energy as kinetic, thus excluding any other potential interpretation for it (Gluonic Potential). Particles are modeled in analogy to electromagnetic waves as being created by coherences between states. As you know energy is only transfered by a coherence between two electronic states when the coherence dephases. The same is proposed to be through with respect to the generation of spacetime waves. Only when the Coherence between two 4-D space deformation states is dephased one has a transition (particle decay). The proposed traveling at the speed of light paradigm should be obvious once presented. If one is going to follow a Pythagorean approach to describing Nature, all the elements of Nature should be described as deformation of space, coherences between deformations, and spacetime waves. Since these deformations have no spatial constraints, they should travel at the natural speed of propagation, which in this case is the speed of light. This explains in a simple manner why the speed of light is the liminting speed along the 3-D Universe. I will stop here since a full defense of all points of my theory would be very long. I would appreciate if you were to provide me with a substantive reason for the preclusion of my work. I am extremely interested in a real and substantive review of it and not a simple off the bat dismissal. The kind of of the disregard for new and well substantiated ideas has no place in Science. My theory has a strong revisionist nature and is supposed to be controversial, but it is not supposed to be censured just for being controversial. We are all scientists who love Science and new ideas and new ideas should be given a fair chance. Although it is always a pleasure to help you see the Universe through a new lens, the original goal of this blog was to create an interface with the Cognoscenti of this area. Somehow, my outlandish theory did not create any of the heated debate I hoped for. As you know by now, this theory Drops Strong and Weak forces Like it is Hot :). This would not sit well with anyone who works on anything related to the standard current scientific view. The theory goes deeper. In creating a new Lagrangian Principle, the one that states that dilators are always in phase with surrounding spacetime waveforms (or should I say wavefields), I revised the basis for Dynamics, Gravitation and Electromagnetism. The revision is subtle, but extremely relevant. Why is the Speed of Light the Speed Limit?